An ambulance headed to a hospital was broadsided by a semitrailer at a rural intersection and caught fire Friday night, killing three emergency medical technicians and two patients, the State Highway Patrol said. The patients were being treated for injuries from an earlier car wreck when their ambulance was struck in Crane Township, about 65 miles southwest of Toledo. A fourth Antwerp Emergency Medical Services worker, Matt McDougall, 31, of Antwerp, and the driver of the semitrailer, Gerald Chapman Jr., 54, of Bryant, Ind., were taken to a hospital for treatment, the patrol said. Their conditions were not immediately available. The crash remained under investigation. The ambulance was traveling south on a county road that had stop signs posted for north-south traffic, said patrol Lt. Shawn Davis. No stop signs were posted for the semitrailer heading east, Davis said. Authorities have not said whether the ambulance's emergency sirens and lights were turned on. "It's very sad. Very tragic," Antwerp Village Council President Ronald Farnsworth told The (Toledo) Blade. "Right now, we need all the prayers we can get. Right now we're grieving." Several dozen fire and emergency workers gathered at the village's fire hall with a pastor Friday night. "They aren't in very good shape right now," Farnsworth said. The village planned to arrange for counseling, he said. 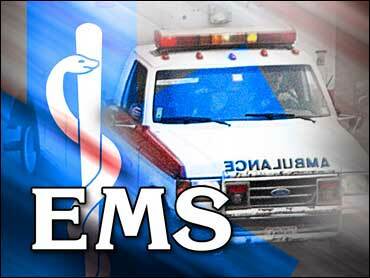 Killed in the accident were EMS workers Sammy Smith, 64; Heidi McDougall, 31; and Kelly Rager, 25. All were from Antwerp. The patients killed were identified as Robert Wells, 64, and Armelda Wells, 60, both of Hicksville.